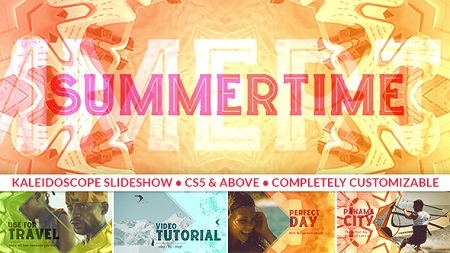 Display your video or even photos with the super fun Kaleidoscope Slideshow! Import your video footage, change the text, and hit render! Super easy to use and comes with a Step-by-Step Video Tutorial. Customize Colors, make it longer or shorter. Whatever length you want!